"Acupuncture's use for certain conditions has been recognized by the United States National Institutes of Health, the National Health Service of the United Kingdom, the World Health Organization, and the National Center for Complementary and Alternative Medicine. " The general theory of acupuncture is based on the premise that bodily functions are regulated by an energy called qi which flows through the body; disruptions of this flow are believed to be responsible for disease. Acupuncture describes a family of procedures aiming to correct imbalances in the flow of qi by stimulation of anatomical locations on or under the skin (usually called acupuncture points or acupoints), by a variety of techniques. 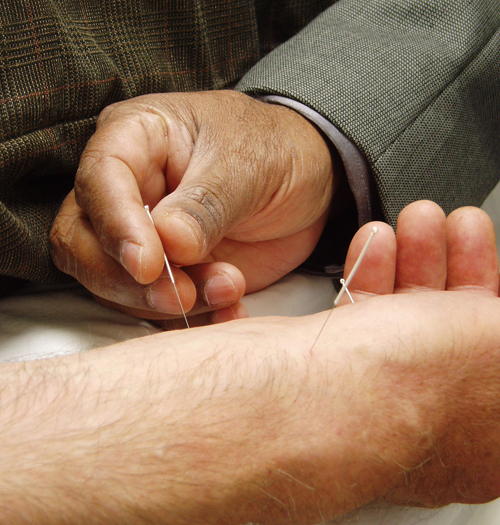 The most common mechanism of stimulation of acupuncture points employs penetration of the skin by thin metal needles, which are manipulated manually or by electrical stimulation.